An utterly ruthless international gang of ‘skyjackers’ kidnap KGB kingpin Palinovsky, based in Dehli, just as he is about to defect to the West and a bidding war ensues between British and American Intelligence who value the information he could provide, and the Russians who want to silence him. A British agent sets up an exchange on the Nepalese border, which results in ambush and massacre, and then disappears. 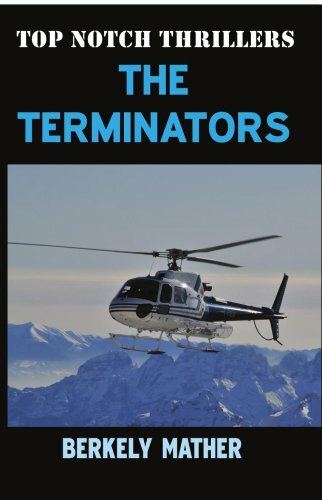 Having escaped by the skin of his teeth, freelance agent Idwal Rees is sent to find the missing agent and, if necessary, terminate him. The trail leads into the wild hills of the disputed North-West frontier, country which Rees knows well and has very personal links to. And when those personal links seem threatened by the gang of kidnappers, Rees – and his trusted Pathan bodyguard Safaraz – take matters into their own very capable hands.